Jan 29 Ylva is named after the Swedish designer's, Soveig Larsson's, oldest granddaughter. 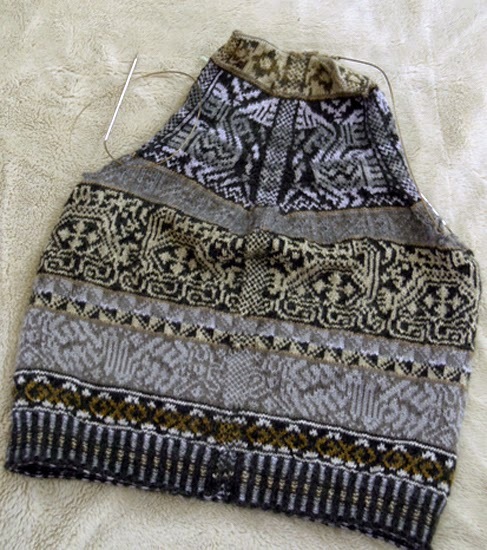 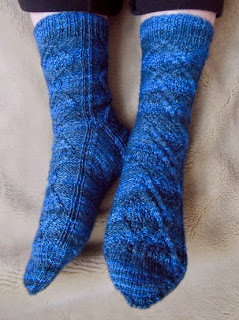 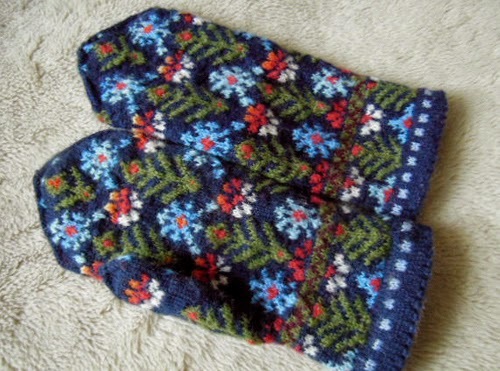 This pattern was initially gifted to the Ravelry group, but can now be purchased on her website. 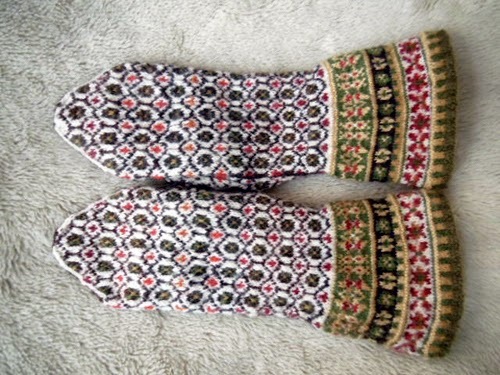 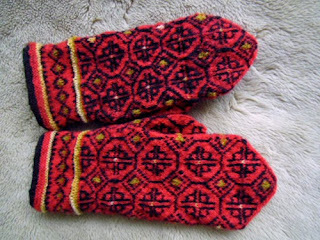 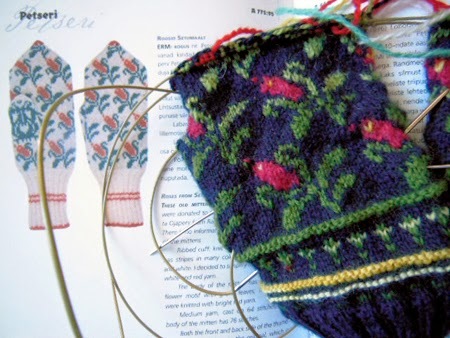 Jan 30 Latvian Mittens, Graph 9 from Lizbeth Upitis' book. Feb 08 Latvian Mittens, Graph 30, also from Lizbeth Upitis' book. Feb 18 Latvian Mittens, Graph 51, same source as above. 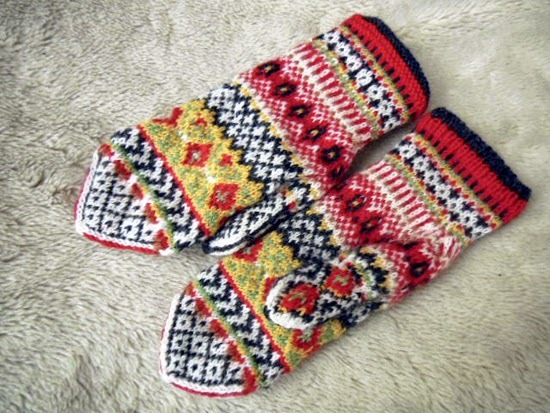 Feb 22 a start to Estonian mittens, xxiv. 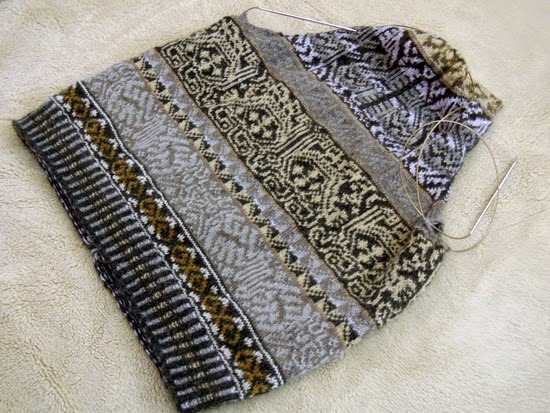 Petseri variation wip, from the book Eesti labakindad ilma laande laiali. Mar 14 Sock Madness 9 (SM9) qualifying socks, Alohomora by Malena Andersen. 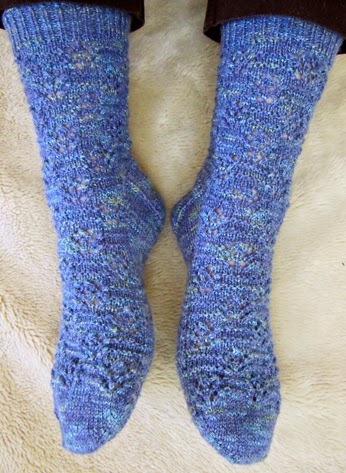 Mar 27 SM9-2, Cable Madness by Karen Buhr. 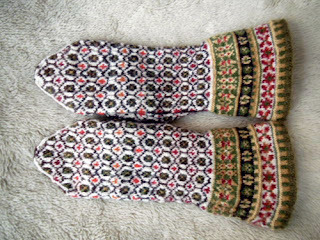 Apr 10 SM9-3, Longing For Spring by Caoua Coffee. Now we're waiting for the next sock to be released sometime after Apr 21 ... can't ... wait ... ;P ... Apr 11 test knit for Sonja Launs wip vest.